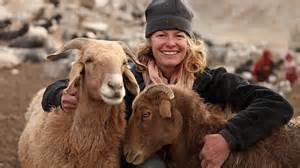 Fancy a whole day in the countryside for a day-long festival with Kate Humble, Gareth Malone and Matt Tebbutt? 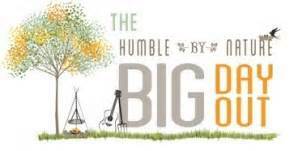 Kate Humble's Big Day Out is a festival which will take place on her beautiful working farm in the heart of Monmouthshire’s Wye Valley and offers an opportunity to celebrate the countryside and all the great things in it. It takes place on Saturday, July 4. 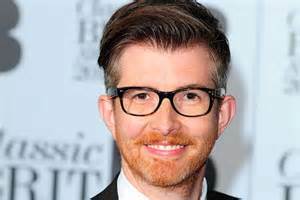 THE nation’s favourite choir master Gareth Malone (below) will be joining the inaugural Big Day Out. Gareth will create an instant choir of festival revellers at the festival, while bird man Lloyd Buck, famous for training birds and owls for TV and blockbuster films like Harry Potter, will be giving people an insight into his high flying job and a chance to meet his feathery friends. Cookery author Genevieve Taylor is launching her new book ‘How to Eat Outside’ and is curating all the food for the festival. 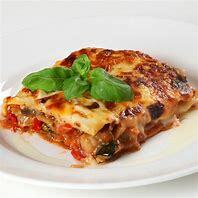 She has brought together a truly delicious collection of award winning cooks to keep festival goers well-fed and inspire them with some truly imaginative food for the summer ahead. These include scientist, magician, and self-confessed geek Dallas Campbell from Bang Goes the Theory and the Gadget Show, who will be demonstrating how science can help you create the perfect pizza in his ‘Science of Pizza’ session. 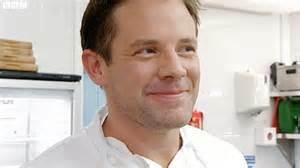 And chef and TV presenter Matt Tebbutt (below) from Channel 4’s Drop Down Menu and Food Unwrapped will be proving that pizza ovens aren’t just for pizza and showing how they can help turn simple seafood dishes into something really special. Fresh from their winning triumph at the BBC Food & Farming Awards, local favourites Hangfire Smokehouse will be showing how to dish up their ever popular Southern style cooking. Showcasing his sourdough bread-making skills, one half of the Fabulous Baker Brothers, Tom Herbert of Hobbs House Bakery, will make mouth-watering doughnuts over the open fire for everyone to try. 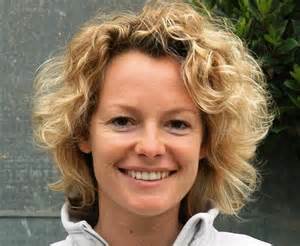 Children won’t miss out as they will have the opportunity to cook with newly announced BBC Cook of the Year, Jo Ingleby. Jo’s award winning teaching encourages children of all ages to experiment with fresh, healthy ingredients. There will also be musical entertainment - live music throughout the day and into the evening in the Lambing Shed, and around the campfire. There will also be plenty of food from local street food sellers, and a special cocktail bar run by Chase Distillery. The evening will come to a close with Welsh band, The Noses, playing their own brand of dirty country music, with Back to Basics DJ Simon Mu playing into the early hours. For those brave enough, there’s a chilli eating competition run by Chilli of the Valley – competitors will get to pit their mouths (and stomachs) against each other in a knock out battle as they munch their way up the Scoville Heat Scale: starting with the milder chillies and progressing through to the superhots and Guinness World Record breakers.